If you drive a vehicle in the United States that was manufactured after 2001, then chances are high that you could be affected by the largest automotive safety recall in history. With tens of millions of cars recalled from 32 different automotive brands, the blame for this threat to safety falls to airbag inflators and their propellant chemicals sourced from Japanese supplier Takata. Faulty inflator design and the unstable chemical compounds within them are responsible for hundreds of gruesome injuries and 19 deaths to date. Airbags fitted with this deadly combination can deploy with so much force that the propellant causes the inflator to blow apart, sending shrapnel into the passenger cabin of the vehicle. In many noteworthy cases, Takata airbags have deployed in very low-speed collisions, some while vehicles were stopped or parked. Both driver’s side and passenger side airbags have been found to cause severe injuries due to the dangerous and powerful chemical blend in Takata’s product. The Independent Testing Coalition, a safety research group made up of representatives from ten carmakers, hired a third-party research organization called Orbital ATK that specializes in combustibles like rocket propulsion systems to conduct their own testing of Takata airbag inflators. Their tests concluded that three important factors contributed to the vulnerability of the airbags: the construction of the inflator assembly, the use of ammonium nitrate as an inflator propellant, and the exposure of that ammonium nitrate to heat and humidity. Orbital ATK’s research findings help to explain why older model vehicles outfitted with Takata parts and those in hot and humid climates have higher rates of failure than others. Continued exposure of ammonium nitrate to moisture and extreme temperatures further weakens the stability of the compound and can lead to spontaneous combustion. Seven models from Honda and Acura manufactured from 2001-2003 have been identified as having the highest failure rate of all of the faulty inflators with a 50% chance that they may deploy and cause serious injury or death. That chance increases in regions with warmer and more humid conditions. The National Highway Traffic Safety Administration (NHTSA) urges owners of all cars with recalled Takata airbags in Hawaii and the southern United States to have the faulty inflators replaced immediately because of the additional risk posed by the climate in those areas. Though the details are still unfolding about how much the Takata Corporation knew about its defective parts and when exactly it learned of their dangers, Swedish airbag maker Autoliv identified the problems in 1997. Tasked with the challenge of matching Takata’s low prices to win a contract with General Motors, Autoliv examined the Takata design, analyzed the fuel, and made a comprehensive list of all of its chemical components. The company’s chief chemist wrote that the propellant activated so fast in tests that it blew the inflator into pieces. Upon determining the cheap ammonium nitrate propellant was too dangerous to use in airbags and opting instead for a safer chemical alternative, Autoliv was unable to reach the low price of Takata parts and ultimately lost the General Motors contract to them. Despite the obvious dangers of the airbag construction pointed out by Autoliv researchers, Takata continued to manufacture their products using the same components. During a later investigation into the liability of Takata’s poor choice of ammonium nitrate and the design of its inflators, a former employee of the company confirmed that test results of airbags in a Takata plant in Georgia were falsified to pass defective units, and were then further obscured by the issuing of new bar codes so the results of failed tests could not be tracked. The cover-up by Takata of engineering defects ultimately led to the deaths of at least 19 people and serious injuries to at least 139 others. Because of their attempts to conceal the imminent threat of a product intended to keep people safe, the U.S. government fined Takata Corporation $1 billion in January, 2017, and a federal grand jury separately charged three of its executives with six counts each of conspiracy and wire fraud. The company pleaded guilty to charges related to the cover-up and agreed to the $1 billion settlement, with the largest portion of that settlement allocated to compensate automakers and $125 million allocated for victim compensation. Takata’s plummeting stock values, criminal fines, and billions spent on liability compensation all contributed to the company filing for bankruptcy in June 2017. Key Safety Systems (KSS), a Michigan-based automotive parts supplier, agreed to purchase the majority of Takata’s business, but made it clear that it would not be buying the airbag division as part of that sale. With Takata’s liabilities and airbag division being dropped during the bankruptcy acquisition, automakers are left uncertain if they will be reimbursed for their recall costs or if safe replacement parts will be available after the acquisition for those vehicles still unrepaired. Lawyers representing victims say the bankruptcy may limit their ability to collect damages. Auto dealers are not legally permitted to sell unrepaired vehicles affected by the Takata recall. However, there is no guarantee that all dealers are taking the steps necessary to identify these vehicles as they are required to do, and there is currently no legal restriction on the sale of these vehicles by unlicensed sellers and other private individuals. If you’ve recently purchased a used car, it could take weeks or even months before the manufacturer notifies you of a safety recall. Because of the highly volatile nature of the chemicals found in recalled Takata products and the unknown availability of replacement parts in the near future, swift action in identifying affected vehicles is essential. The only way to ensure that faulty airbags are addressed quickly is to conduct an investigation of your vehicle yourself. An ongoing list of the makes, models, and years of cars included in the Takata recall is available from NHTSA. For detailed information about your specific vehicle, the Safecar.gov database of all safety recalls based on your car’s Vehicle Identification Number can also prove to be a valuable resource. If your vehicle is equipped with a recalled Takata airbag, you should take your car to a dealer for that model or a brand-authorized service center for repairs as soon as possible. 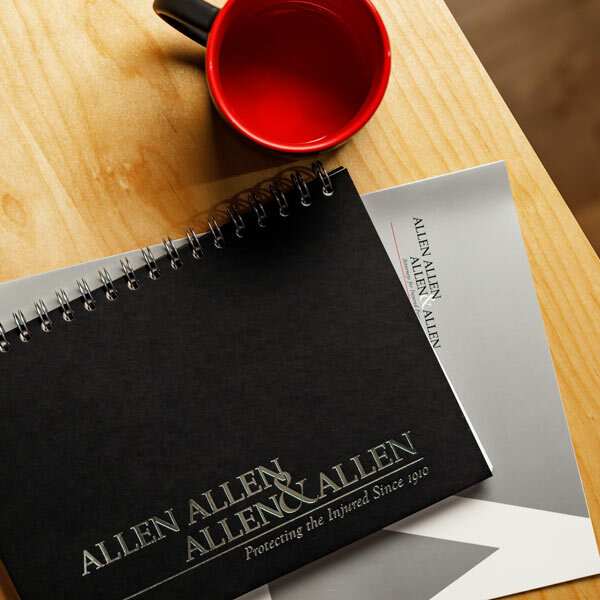 If you or a loved one have been injured due to a recalled airbag, contact us at Allen & Allen for a free and confidential assessment of your claim.